Too few women’ are aware of the relationship between their oral health and pregnancy. 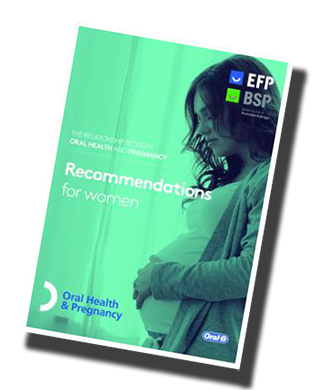 The British Society of Periodontology (BSP) is looking to address this anomaly and has placed on their website a range of educational material to help patients understand the symptoms and risks associated with periodontal disease during pregnancy. Most women will be aware of some of the health concerns associated with pregnancy. Chances are they’ve already been taking folic acid and once their pregnancy is confirmed, if they haven’t already done so, they will quit smoking, reduce their alcohol intake and moderate their diet. Too few women, however, are aware of the relationship between their oral health and pregnancy. The British Society of Periodontology (BSP) is looking to address this anomaly and has placed on their website a range of educational material to help patients understand the symptoms and risks associated with periodontal disease during pregnancy. Three Guidelines have been produced - one for patients, one for oral health professionals and one for non-dental health professionals. The patient document explains how pregnancy can negatively impact on periodontal health and, in turn, how poor periodontal health could affect both the general health and safety of mother and baby. It also explains how to prevent and treat periodontal disease. The other two Guidelines draw on the latest research, on which preventive, diagnostic and therapeutic recommendations are given. European Gum Health Day takes place on 12 May. Improving gum health in pregnant women will be the focus of the BSP #gumhealthuk campaign this year.